Business and people in Phnom Penh are gearing up to support Earth Hour, the world’s biggest environment campaign, by switching off their lights for one hour on March 26. 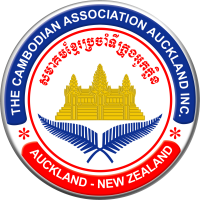 Bopha Phnom Penh restaurant on Sisowath Quay is one business welcoming the gesture. Operations Manager Muth Sareth said his restaurant will turn off the lights for an hour on the date at 8.30pm. “Introducing a candlelit dinner during the Earth Hour event can be attractive because it fits well with my restaurant atmosphere,” he said. Phnom Penh resident Moeun Samang is another who plans to raise awareness of energy use by turning off her lights during Earth Hour. “I will continue to adopt sustainable practices, such as turning off lights and unplugging devices when they are not in use, walking or riding the bike wherever possible as opposed to driving,” she said. Earth Hour was first launched in Australia in 2007, and has since grown to a worldwide event marked by millions of people. In partnership with WWF, people turn off their lights for one designated hour at 8:30pm local time to celebrate the positive actions they are taking for the planet. “It’s all about taking action on climate change and working together to create a better future for our planet because, no matter how big or small, together our actions can make a difference,” said WWF Cambodia Director Seng Teak. 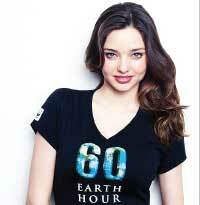 Fashion model Miranda Kerr has been named a global ambassador for Earth Hour.